My husband and I decided that this would be the year we got certified in bowhunter safety. Montana is one of the few states that requires bowhunters to pass a test and go through several days of classes, including some field classes. But once you get certified, you're allowed to bowhunt, which extends the hunting season from September 1 through almost the end of November. Now, you must understand why I hunt. I hunt for food. 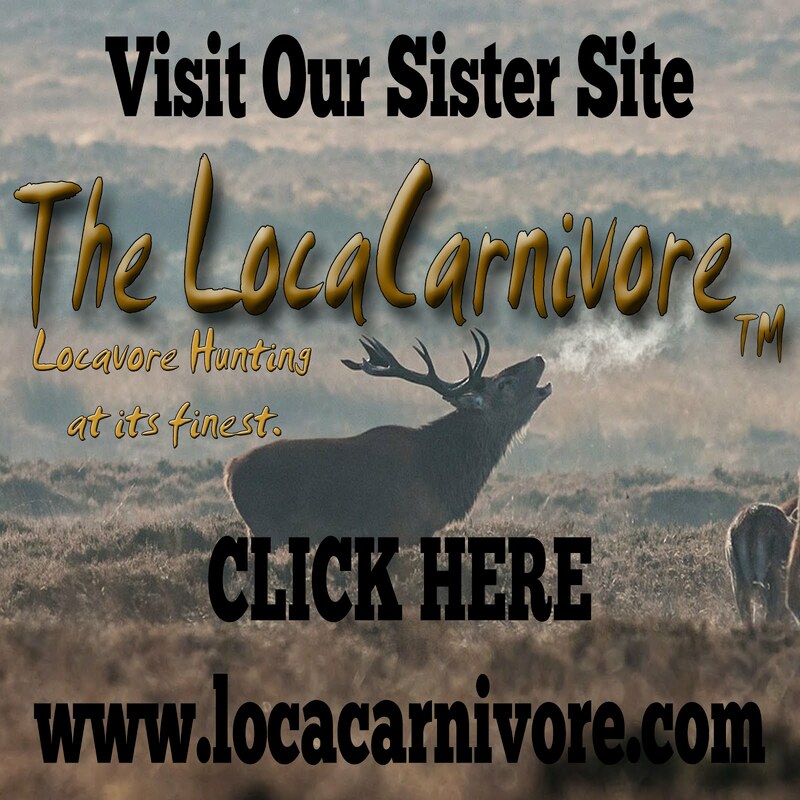 Many folks who live in Montana hunt for food as well. Many people rely on hunting to feed their families. I've read in the paper that several folks said without hunting they wouldn't have meat to eat. We're not that desperate, but it makes a substantial difference to have five or more months of meat taken care of because of venison. I'm not a bad shot with a bow, but I could probably get better with practice. I'm looking into testing out some longbows for my husband's magazine, so I'm considering trying those out as well. I also have a rather ancient compound bow that is still very functional, that I will probably use. Anyway, the class ran two days; the first was on Saturday and was eight hours of classroom stuff. The second on Sunday was four hours of field work. The classroom work was basic, but there were many folks there who had never hunted or hadn't picked up a bow. Then, there were experienced folks like my husband and me who either hadn't hunted with a bow or took it as a refresher course. Despite it being basic, we learned some things. My husband learned that the fins (plastic feathers) on his arrows were better to be replaced by fletchings (natural feathers). We learned some other eccentricities of recurve and longbows. And I lusted after a longbow. The test was fairly easy and I got a 100 on it. Sunday proved to be interesting. The instructors made a "blood trail" with corn syrup and red food coloring to simulate blood and made a trail for us to track to a pair of antlers. It was tougher than you would think because a few drops here and there in a sea of green is tough to see. We then learned about tree stand safety which included how to adjust your harness so if you fall, you don't kill yourself. I really don't like the idea of using tree stands, so I think it is better for the young. Lastly, was distance estimation and shooting, if you brought your bow. My husband and I were pretty close on estimating the distance and we didn't bring our bows, so we didn't shoot. In the end, we got our certification. Despite using up a whole weekend, we felt it was worth it to have that certification so we can legally use our bows when the season comes by. We decided to take the horses riding up the main trail into the public lands on March 30th (at least I think it was March 30th). Rocket and Scarlet did such a good job on the last rides, that we figured getting them up the BLM road would be easy. It would take them away from barking dogs and other possible problems. Well, that wasn't necessarily a good idea, in retrospect, but I did learn something about my horse. I had been riding with a fairly loose rein because I figured the horse was advanced enough to not need constant input. This burned me as you will soon see. Our ride was typical with the usual balks at certain places. I managed to get Rocket going again by doubling her around. That's a move where you turn the horse sharply around in a circle to keep her feet moving and get her to go forward again. Doubling is a simple move and easy to do. We got to a place where we had stopped one time before. Rocket balked. I doubled her. She balked and backed up. I doubled her and backed her up. She started tossing her head and prancing. I started a double when she bolted. Not just anywhere, but up a 20 foot embankment. I regained control and started her down the cut/game trail. She wanted to go into a tight clump of trees neither of us could fit, thereby violating Newton's laws of mass. We had a game trail that led back down to the main road which would've gotten us safely down, but she started freaking out over the footing. After several attempts to get her back down the trail, she pitched and nearly fell off the ledge of the embankment. I, unfortunately, got thrown from the saddle. The roll I did was perhaps not pretty, but ninja nonetheless. I rolled over my shoulders and then as the horse's hooves came near me, rolled down the hill some 15 feet or so. I remember closing my eyes and counting how many times my helmet hit rocks, trees or stumps. I ended up on the side of the road face down, wondering if I broke anything. In retrospect, I should've tucked my legs (husband said it wasn't pretty but effective) and I felt like I had hit them on something pretty solid. Even so, I got up and we managed to get Rocket back, who was fretting about stepping on her reins and freaking out more. Our training with horse treats came in handy and she came right to us. I walked her to a place where I could remount her and then we rode forward. Only when I got to where we were going to turn around, did I turn her around. We rode back, me being sore and bruised, but none the worse for wear. After our ride I thought about what happened. I learned a few things from her previous owner as we picked up hay. Rocket had been primarily an arena horse and only rode trails on a particular ranch. Furthermore, she only got ridden a few times a year. After checking with some horse folks, I decided that keeping a loose rein with this horse wasn't right. I replaced my nylon reins with longer leather split reins (more control), and started working her on the ground with "the Friendly Game." After about a week, I got back in the saddle and have ridden her three more times now. I decided to keep her on our road until I had full compliance and trust. That means no balking, no backing, and no acting up. Our land doesn't facilitate a round pen, so our road will have to do. Those three rides have shown improvement along with the new reins and the new contact. Although she's a western horse, it appears she may have been trained in English, which means a much tighter rein. She also has no idea of Western reining. So, I feel as though the fault was mine. I failed to understand the needs and fears of this horse. Rocket bolted because she was terrified of going to a new part of the trail and felt I had no control over her because of the loose rein. Since I tightened the rein, she's suddenly become a very different horse. Responsive. In-tune. I'm still sore. My shoulder and back hurt where I landed and I have a massive bruise on my thigh where I was launched into the saddle horn when I got pitched off. Funny, I don't remember that happening, but it must have. I've gotten a replacement helmet and am thankful that I had the good sense to wear a helmet when many people don't. I have a nasty feeling I would've ended up with a concussion and being stitched up for scalp lacerations if I hadn't had the helmet. Rocket has been eying paths that go up hills. You can bet I'm telling her no on those. Okay, this is too funny. I found a woman who was giving away her Emden Geese because the geese were, well, geese. Geese tend to be noisy, obnoxious, and aggressive to those who act fearful. They can actually be pretty cool birds, but they are often misunderstood. In other words, geese aren't for everyone. I warned my husband when we went into town that we'd be picking up geese. The lady who owned them, showed me that they were loose. One of the geese came running up to me hissing and then ran away. I said I was ready to get them, so while my husband got the crate, I walked slowly up to one of geese and quietly grasped it, stuck it under my arm, and popped it in the crate. The other one wasn't as easy to catch as she went running off. My husband cornered her and we caught her and put her in the crate. The woman's young son asked me what company I was with. I was confused as I hadn't told them I had a company. I told him Sky Warrior Books. He looked at me oddly. No, not that company. What ANIMAL training company was I with. The woman quickly explained that her son had been watching Animal Planet about various animal trainers and assumed that I was something of a goose whisperer. Goose Whisperer--who'd have thunk it? We left with the two Emdens. I also found out that a store I go to provides free organic food scraps for animals. We picked up two boxes of fresh vegetable scraps and fed them to the birds when we got home. 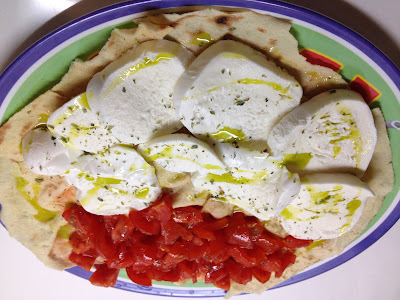 One thing I've tried and not succeeded at is making fresh mozzarella. Mozzarella is one of those awesome cheeses you can make at home if you don't mind a little work. Actually, it's simple-stupid if you have a kit. Cheesemaking.com has a really good kit that gives you practically everything you need to make cheese. I bought the kit at a local organic store. The simple way to make cheese is to use one gallon of whole milk. Don't use ultra-pasteurized milk, 2% milk or skim milk, although pasteurized milk works fine. Ultra-pasteurized milk won't form curds. You use rennet, preferably in a tablet, but you can use liquid rennet too. You need cheesemaking citric acid, which I've been told is different than other types of citric acid. I tried the regular citric acid from the organic foods store and it doesn't work. That was my first failed attempt at cheesemaking, So, there you go. You mix 1 1/2 tsp of citric acid into 1 cup of cold water. You also mix the appropriate amount of rennet in a 1/4 cup of water. Put the citric acid mix in a pot and pour the gallon of whole milk in. Heat to 90F and stir vigorously. You remove the milk from your heat source and slowly stir in the rennet for about 30 seconds. Don't overstir like I did. That was my second failure, but I ended up making ricotta cheese out of the failed attempt. It was pretty tasty. You then cover the pot and leave for 5 minutes or so. The curd forms on top and the whey sinks below. Seems odd, but that's how it is. After 5 minutes, you need to cut the curd and heat the whole thing to 105F while slowly stirring. The curd looks like cottage cheese if you've done it right and the whey is yellowish. When the curds reach 105F, take it off the burner and continue stirring. The longer you stir, the harder the cheese. Now, at this point, I gave up trying to get the curds separated from the whey and put a cheesecloth into a colander and poured the mixture through. I put a bowl under the colander to catch the whey. I saved the whey for other recipes, such as liquid to use in bread. You then take the curds and put them in a microwave-safe bowl and microwave the curds for a minute, drain off the whey and add salt if you wish, and then microwave it again for 30 seconds or more. You'll use your hands (gloved or clean) to pull and stretch the cheese out. They said in the recipe it's just like pulling taffy and the longer you work it, the firmer the cheese. I rolled my cheese into a log and cut pieces off of it. OMG. Heaven! It's awesome. My husband tried it and said "it's mozzarella." So, that is great. I put the whey in three one-quart containers and froze them for later use. Now I know what I'll be doing with all that goat's milk when my girls finally start producing. Mmmm, good!